This position has been closed. Thank you for your interest! Pratham Books is a not-for-profit children's book publisher that was set up in 2004 to publish good quality, affordable books in many Indian languages. Our mission is to see ‘a book in every child’s hand’ and we have spread the joy of reading to millions of children in India. In the last 3 years, we have invested deeply in technology based initiatives to further our mission. We are now looking for a Data & Insights Manager as we significantly scale these initiatives. StoryWeaver is a digital platform that hosts stories in languages from India and beyond, so that every child can have an endless stream of stories in her mother tongue to read and enjoy. The stories can be read, translated, versioned or downloaded for free. All stories on the platform are openly licensed and the goal is to open source the code as well. In two years, StoryWeaver has scaled from 800 stories in 24 languages to 6500 stories in 104 languages by engaging with a community of users. We want every child to have access to quality reading resources in their own language. StoryWeaver is being recognized as an emerging innovation that can transform the early literacy reader ecosystem globally. Our vision is for StoryWeaver to be the largest multilingual open library in the world for children by empowering communities to address the scarcity of reading resources in their mother tongue languages and scale the quantity and quality of content being produced. We are looking for a passionate individual wanting to make a difference, one who believes that technology can be a powerful enabler in creating equitable access to resources. This role requires a manager who can work effectively, both independently and collaboratively, in a team environment and deliver the project in a timely manner within allocated resources and budgets. We are looking for a Data & Insights Manager to work closely alongside our Product Development team and other internal teams. You will discover the insights within our vast data sets, and help us make smarter decisions to deliver better results for our end users. In this role, you will be responsible for using statistical techniques to analyse and interpret data, take complete ownership of Google Analytics, identify trends and provide insightful reports to internal and external audience. We’re looking for a self-motivated, detail-oriented individual who loves digging into data, developing insights and communicating data-based recommendations. You will work closely with the internal teams and tech partners to implement your recommendations, track the impact and course correct. The position will report to the Head of Digital Projects but also requires working closely with the top management. In a 2 year time-frame the project outcomes are expected to scale by 10x and the Data and Insights Manager will play a critical role in ensuring the smooth functioning of the platform at this scale. Most importantly the person needs to be an out-of-the box thinker and should be a strong believer and propagator of use of open technologies. Work closely with internal product owners to understand the target audience and their motivations, generate the product enhancement, development ideas and requirements docs. Perform analysis and provide insights regarding the market, trends, campaigns, and performances. Perform regular data analysis to demystify, assess and predict content gaps. Extracting valuable insight from our data and generating analysis that drives user retention and conversion. Master and perform all steps required to conduct advanced analytics and create analysis-ready data sets. Effectively respond to ad-hoc report and analysis requests from other teams as needed. BTech/MSc/MCA or other graduate degree in Computer Science, Statistics, Market Research, Operational Research, or related quantitative discipline. Proven work experience working with large sets of data and analytics, preferably in a marketing, tech or operational environment. Ability to interpret findings through data visualization and delivery of compelling presentations to both internal and external stakeholders. Strong analytical thought process, ability to extract data and transform it into valuable, actionable insight. Expertise with GA and common Business Intelligence tools. Location: Position is based out of Bangalore and we are open to part-time as well as full-time position. Project is expected to complete within a 2 year time-frame. Salary: Compensation will be commensurate with experience. 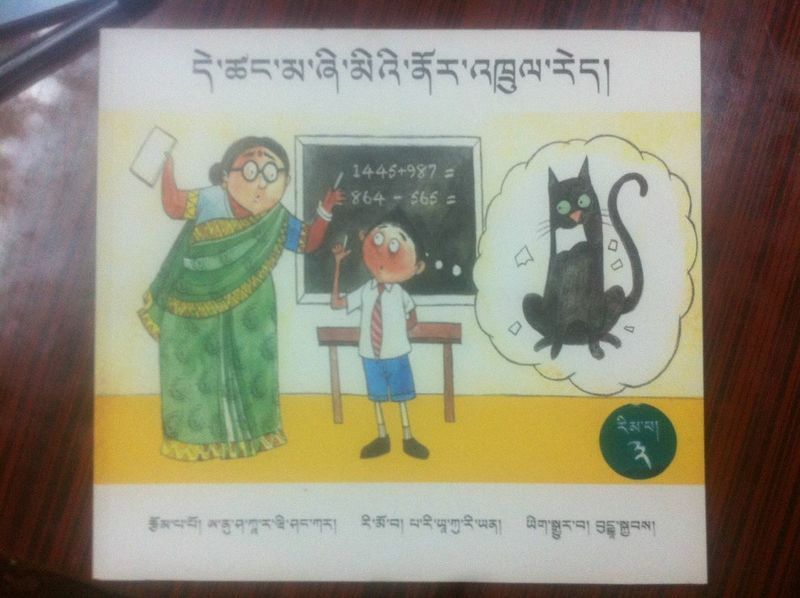 Translate, download and print: A teacher in Himachal Pradesh is taking Tibetan books to children! Last year, we wrote about Tenzin Dhargyal and how he and group of committed teachers at the TCV School, Suja, Himachal Pradesh were translating stories to Tibetan on StoryWeaver. The passionate educators have till date translated over 60 books to Tibetan on the platform. Tenzin had written to us about how he and his colleagues were keen to print some of the books and place them freely in libraries and reading rooms across the region. Last week we were overjoyed to receive this photograph from Tenzin! We wrote to him and asked him to tell us more about the project. Over to Tenzin! "We have printed more than 5 thousand copies of two books which will be distributed freely in all the Tibetan school libraries and reading rooms in the region. Students will have full access to these books in the libraries and already love the books very much. In fact, the more books they have, the happier they are to see and read them! Teachers and librarian can also plan and do activities with the books. My colleagues and I are also planning to create our own stories on StoryWeaver and there is much interest in exploring ways in which we can use the platform. If you look at our Tibetan section, there are 68 books now. We started with just one! Thank you for adding the Tibetan language to StoryWeaver." It's wonderful to see how educators and language champions are using StoryWeaver to create a repository of stories in languages the children they work with are fluent in! It's especially rewarding to see them find ways to take these translations into classrooms! If you're using StoryWeaver in your classroom and have a story to share write to us at storyweaver@prathambooks.org and we'll feature you on our blog! Outreach team member Khyati Datt writes about our recent workshops with Teach For India in Bangalore and Delhi. StoryWeaver has collaborated with many organisations in order to take stories to more and more children. 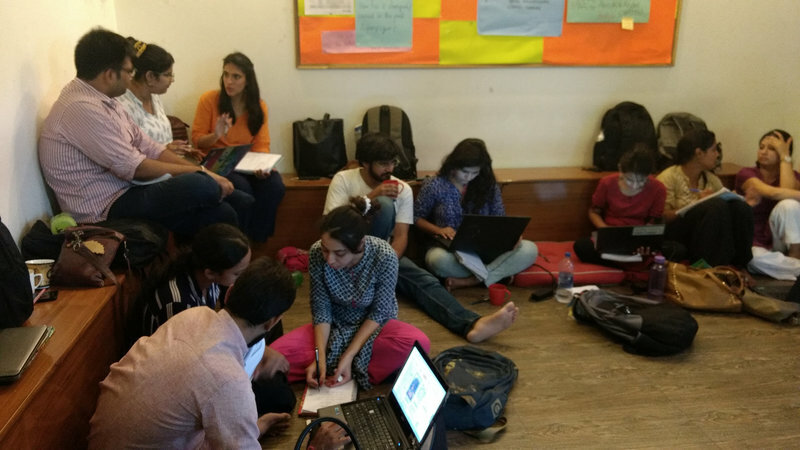 One such organisation that works with children directly is Teach For India and we conducted a StoryWeaver workshop with the Teach for India fellows in Delhi and Bangalore. We invited fellows from the organisation to spend a few hours with us and brainstorm around ways that stories could be integrated with everyday teaching in the classrooms. With the fellows coming straight from school, the workshops were shorter than our usual workshops but the fellows were actively engaging with us despite the long tiring day that they’d just had. The session in Delhi began with a quick round of introductions where the fellows told us their role in the organisation. It was great to see that the participants worked in different verticals of the organisation - there were Program Managers, First year fellows, Content Advisors and TFI alums in the audience. After a brief introduction of Pratham Books and StoryWeaver, we dived into the demo of StoryWeaver and the functions available on the platform. We discussed with them the various ways that different organisations were using the content on the platform to give the participants ideas on how to combine learning with fun! We also saw videos of teachers and organisations using StoryWeaver with their students and shared our thoughts on whether stories could help make classes more joyful. The fellows then went on to their first task of the session - looking for interesting stories and plugging them in in a lesson plan. While some fellows decided to use the story for Reading Comprehension, others chose to use a STEM book to introduce the children to the concept. After hearing the thoughts of the participants on what they’d seen so far, we asked them to do the most interesting task of the workshop - creating stories! The fellows saw this as an opportunity to create the kind of stories that they thought would work in their classrooms and added a fun element to their lessons. We received some great stories from the audience, with flying animals and dream schools! We ended the session with a question - actionable ways through which stories could be used with children. While some fellows were excited to share their takeaways from the session with other fellows, the alums wanted to understand how stories could be used in their context. We conducted the same workshop with the Teach For India Bangalore fellows. All the participants were in their first year of fellowship and were happy to share their experience in the classrooms and discuss with us ideas on how they could use stories to make children learn in a joyful manner! Both the workshops gave us an opportunity to interact with people who were working with children directly and we thank Teach For India Delhi and Teach For India Bangalore for arranging the same. If you are interested in hosting a similar workshop for your organisation, drop us an email on storyweaver@prathambooks.org.